One behaviour that contributes to weight gain is not controlling portion size plus eating the wrong amount of Carbs, Proteins or Fats. The urge to have more than what we need can at times be very strong and this is where you need to deeply consider your personal goals and why they are important to you. For some people, serving a meal means “filling a plate”. This is not a supportive approach. Serving the meal is one of the most critical steps because once the food is on the plate, the only way off the plate is through the mouth! In a nutshell, a balanced meal contains a serving of protein (meat, fish, eggs) the size and thickness of the palm of your hand, a serving of complex carbohydrates, (fruit, vegetables and wholegrain cereals) the size of your fist and a small serving of monounsaturated or polyunsaturated fats. YOUR MACROS..This may seem alarmingly small, but bear in mind that most recommended daily intakes of nutrients are measured in milligrams or grams. We do not need a lot of food and most of what we eat ends up as padding. Whilst on this topic, I wanted to give a comparison of Meal Portions but also the calorie content in them! When we speak in the term MACROS - we mean MACRONUTRIENTS. 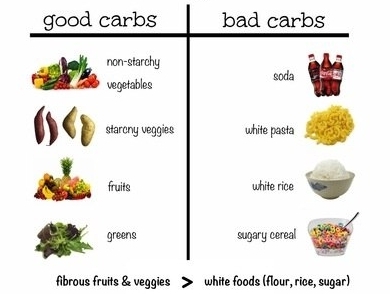 Macros is a food group and like anything there is GOOD and BAD versions of them! Check out the below images for examples! Whats your morning routine look like? How do you start your day? Do you start your day complaining? Do you worry about things that might happen that day before they happen? Do you start the day with yesterdays baggage? How you start your day can make or break how the rest of the day will go. We recommend starting to start the day smiling, write down 3 things you are grateful for right than and there and start with coolness of the emotions. Forget anything that happened yesterday, that's in the past. Don't bring the baggage from that to this brand new amazing day full of 24hours for you to accomplish and be anything and anyone you want to be! 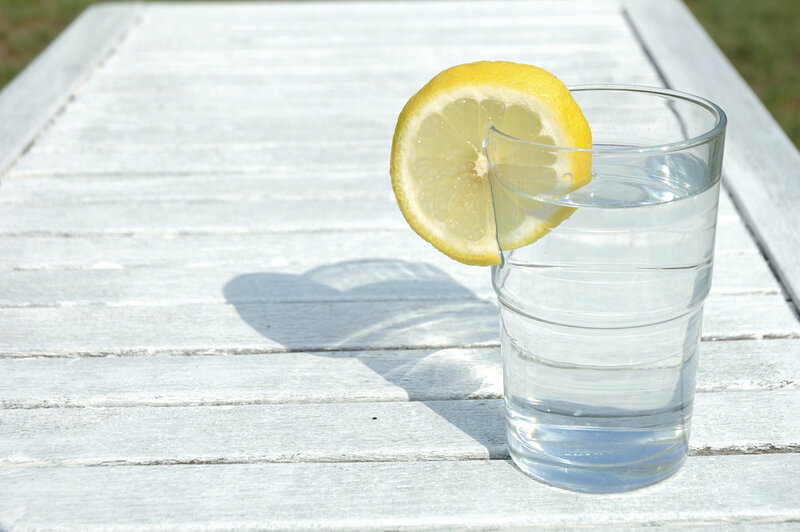 Try and start your day with LEMON WATER and here’s why! Sugar, Alcohol, processed foods, stress, medication and environmental pollutants can all have harmful health affects. Those same substances can compromise hormones responsible for building glean muscle and burning fat. So you can pump all you want in class guys, but those substances will stand in the way of you reaching your goals and starting your day off in a healthy way! Drinking one tablespoon of 100% lemon juice mixed with warm water can work wonders for your body. Lemon juice is excellent source of vitamin C, a powerful antioxidant that may help ward of common colds, but additionally, lemons contain pectin- a water soluble fibre that can help lower cholesterol levels and high potassium levels, which may reduce the risk of cardiovascular disease and high blood pressure! Your weight in kg divided by 0.024 = how many millilitres of water your body requires each day. If you were to weigh 60kg, an ideal daily water intake for you is 2,500mL or 2.5L. If you weigh 75kg, you’ll need 3,125mL or 3.125L. The maths is simple, however if you are exercising you need to add an extra 1000ml to replace what you lose while sweating! Not convinced you need to take in that much water each day? You do. Seriously. A hydrated body is able to transport chemical messages, hormones, nutrients and oxygen to your organs more efficiently, which in turn allows said organs to do their job properly. It also boosts proper cell production, making way for a healthier you. Water cleanses toxins from your body, too, and plays a crucial role in helping your kidneys rid your body of waste through urination. We all know we need to stay hydrated but did you know overhydration is equally as dangerous. Drinking too much water can result in water intoxication, also known as hyponatremia, causing the inside of cells to flood due to abnormally low sodium levels in your bloodstream. In severe cases, water intoxication can lead to debilitating health problems such as seizures, coma, and even death. When you drink too much water, firstly your urine is completely clear every time you urinate and eventually your kidneys become unable to rid of the excess liquid and water starts to collect in the body. This can cause a number of symptoms, often including nausea, vomiting, and diarrhea.